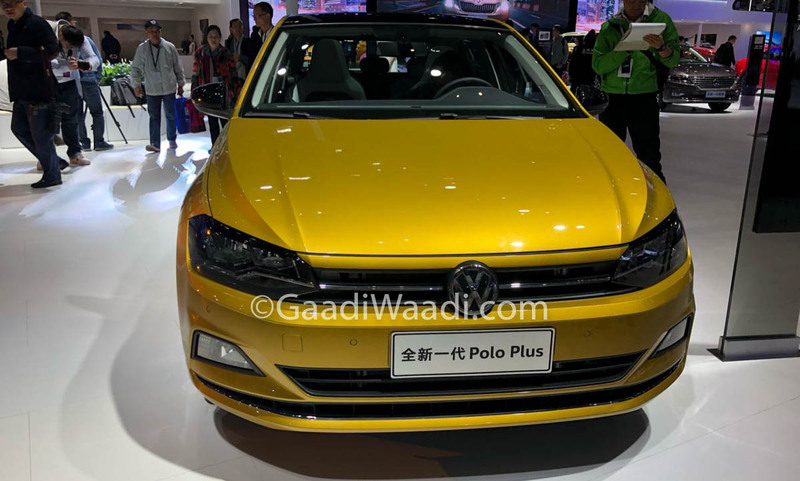 Volkswagen has officially revealed Polo Plus at the Auto Shanghai 2019. The Polo Plus is basically a lower variant as it misses out on some expensive features like LED headlamps. 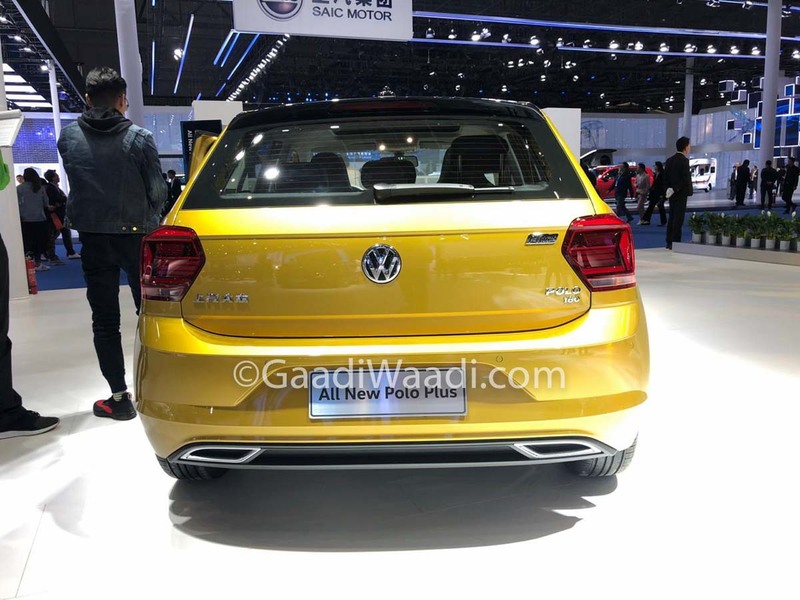 The exterior design theme is similar to the regular model as the front gets chrome finished grille with the Volkswagen logo in the middle with a new bumper. The Polo Plus gets the dual-tone exterior colour as the show car gets yellow colour with black roof combination and the mirror also gets a black finish. 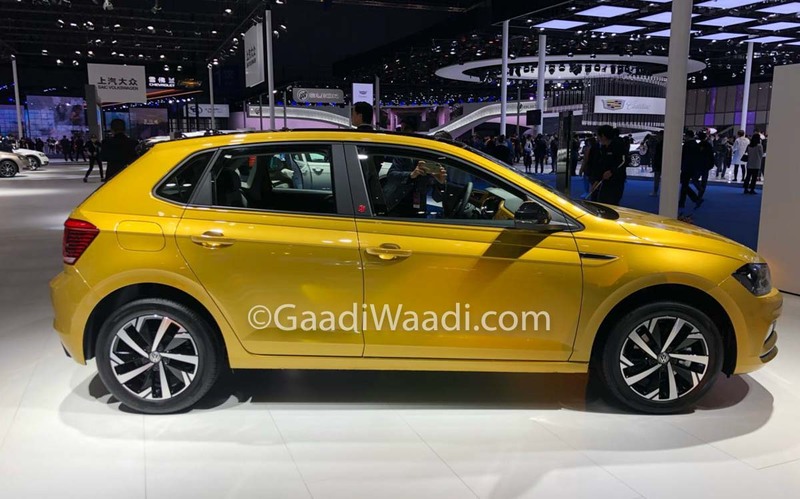 The alloy wheels has a sporty design theme and the rear gains LED tail lamps along with a new bumper with fake dual exhaust vents and an integrated spoiler. 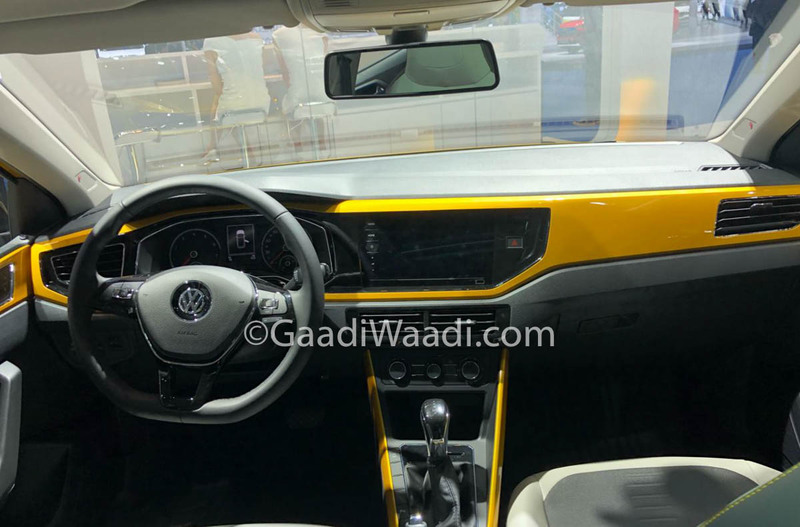 The interior continues the simple design theme as the Plus models get colour contrasting interior in which the dashboard, door pads and centre console gets the same exterior colour theme as it will make the interior lively. The three spoke multi-function steering wheel has been carried over and the instrument cluster is analogue type. 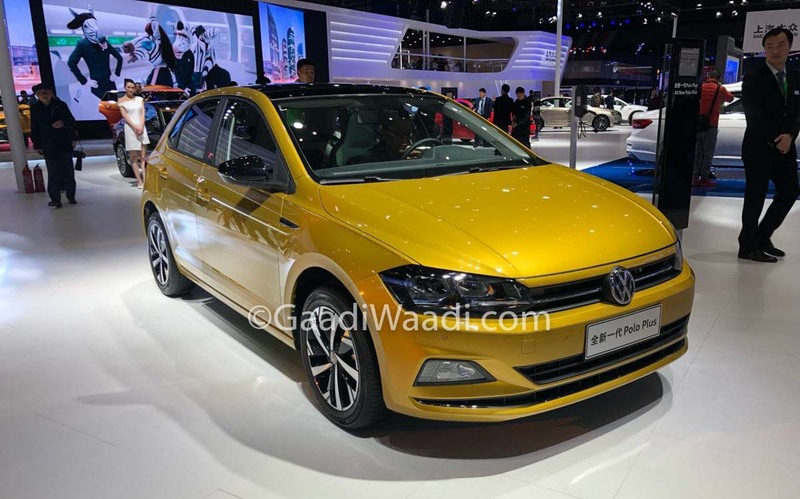 The top-spec models of Polo come with fully digital instrument cluster and the Plus models comprise of a regular MID screen in the middle, which is loaded with lots of information. The company has given a touchscreen infotainment system on the centre console while the Beats audio system has four speakers and tweeters. But the system misses out on Apple Music service and the hatchback gets Apple CarPlay, Android Auto and Mirror Link. Apart from this, the Polo Plus also lacks climate control system as it only has manual AC. Volkswagen has also given integrated headrest for the Polo with the white and black colour combination. 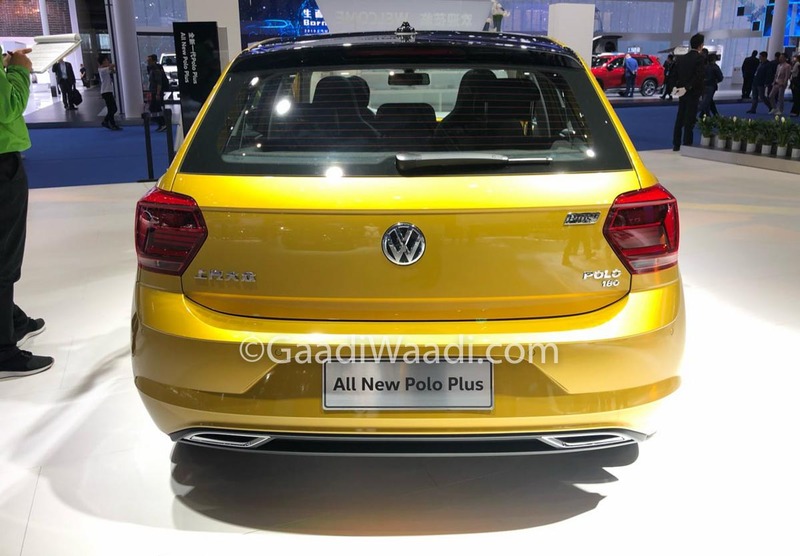 The Polo is packed with lots of features like reverse camera, sunroof, front assist, ESP, airbags, ABS with EBD and more. Volkswagen Polo Plus measures 4,053 mm in length, 1,740 mm in width, 1,449 mm in height and has 2,564 mm wheelbase. The Plus model is powered by 1.5 L petrol engine with 112 PS and top speed is 185 kmph.